Did you know that Sage is traveling the country, offering free educational events to help you learn to make the most of your investment in technology? The Sage Customer Symposium Series features keynote speakers and information on industry trends such as cloud computing, business intelligence, and mobility. After being on the road for 2 months, the Sage Customer Symposium is finally making it's way to beautiful Southern California. Join us in either Orange County or Los Angeles where Sage Executives and product insiders will be on-hand to share their vision for the company, discuss technology trends, and answer your questions. Visit the Sage Customer Symposium Series website to learn more about what you'll learn and where you can attend other events outside of Southern California including upcoming dates in San Francisco, Seattle, Chicago, Boston, and more. 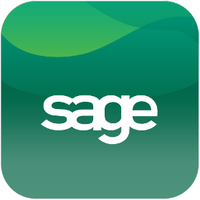 Feel free to contact us with any questions about the Sage Customer Symposium or if you need Sage ERP training, support, or other guidance.